Learn to Sail for kids aged 7-12! Under the guidance of our Training Co-ordinator Oliver Burnell & assisted by able assistants, young, aspiring sailors can learn all about this fabulous sport! This course aims to provide children aged 7-12 with a fun, safe and affordable way to get into sailing. 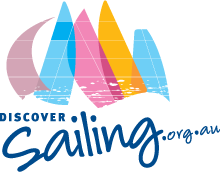 Lindisfarne Sailing Club is an accredited Discover Sailing Centre. Keep an eye on this page (and our Facebook page) for upcoming dates and events. More information can be gained by contacting the club secretary at secretary@lindisfarnesailingclub.org.au.